Have you ever wished you could bring the beauty of a wedding ceremony with you to the reception, minus all the formality? No matter how adorned a hotel wedding might be, sometimes you just want a canvas that doesn’t double as a conference room — a great, big box. At Sol y Sombra, you can finally step outside of the box. 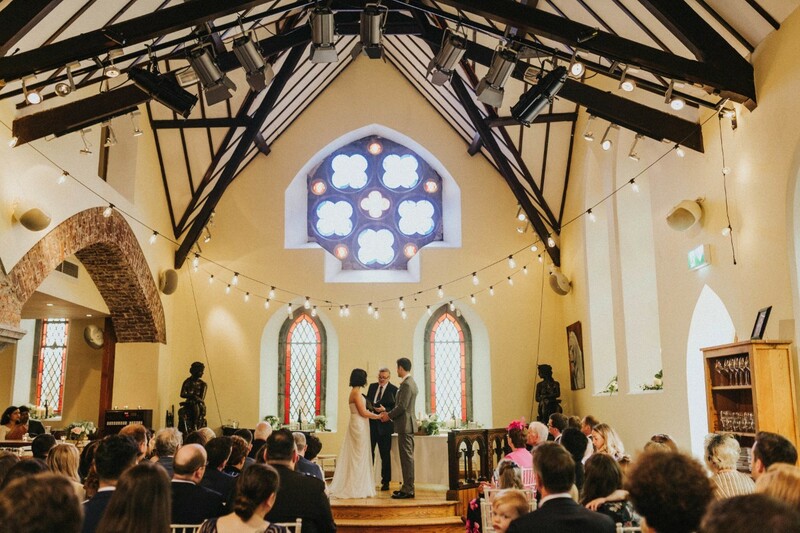 Using our restored 200-year-old church as your palette, you get the best of both worlds — on the one hand: a traditional ceremony setting, a lit through stained glass and steeped in history, and on the other: a chic, vibrant Spanish tapas bar and restaurant. 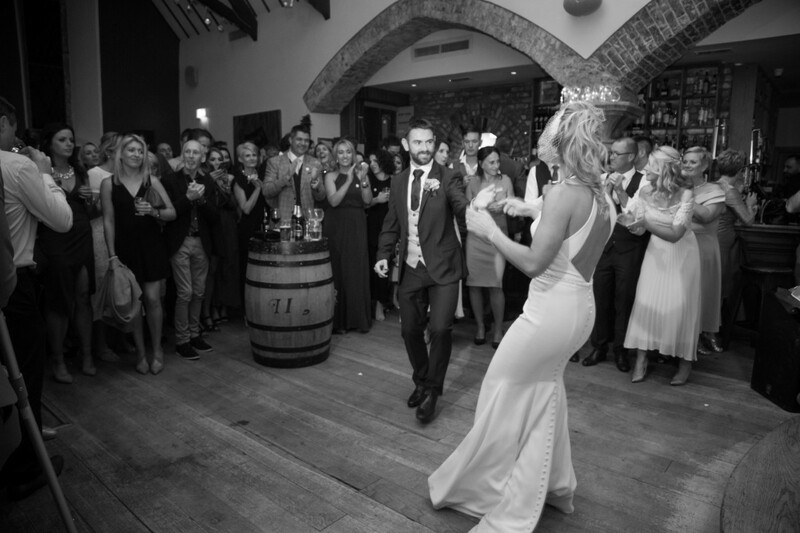 Sol y Sombra has been host to a wide range of wedding celebrations — from traditional Irish banquet style to multi-course, family-style tapas tasting dinners, from late-night dance and wedding bands to fire breathers and silent discos. Our vaulted ceilings are the limits. For couples who prefer a more 'informal' wedding party, we offer gourmet tapas finger food menus which can be just as filling as a traditional meal. . If these walls could talk, they would tell stories of personalised vows and heartfelt reflections, of hand, sand, rose and ribbon ceremonies, of tying the knot — sometimes literally. A fully registered venue for civil marriages, civil partnerships, humanist and spiritual ceremonies, Sol y Sombra provides the perfect location to wed the one you love. Our experienced wedding coordinators can assist you in the careful planning of all aspects of your ceremony, as well as the celebration that follows. Our wedding team can provide advice on local accommodation providers, entertainment, photographers and as well photographic locations. 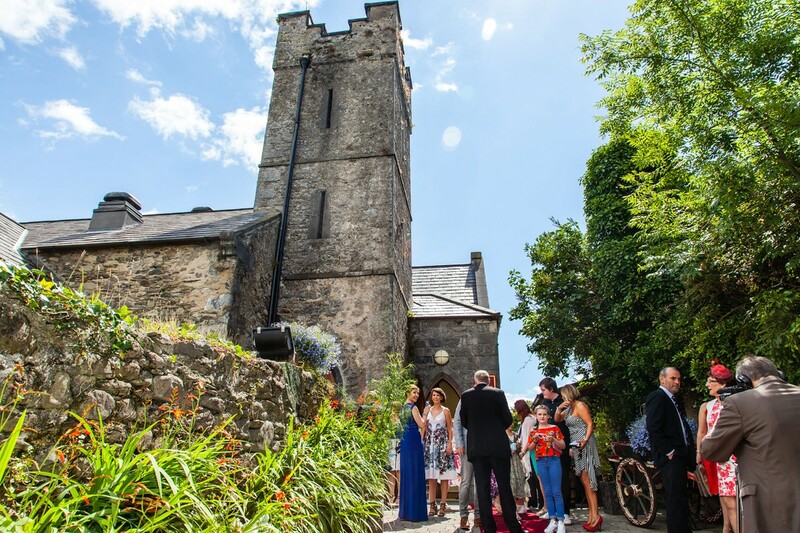 Sol y Sombra is in the heart of Reeks District, with amazing locations such as Caragh Lake, Rossbeigh Strand, Ballykissane and the Historic Iron Bridge all within a short drive or walk from the venue. 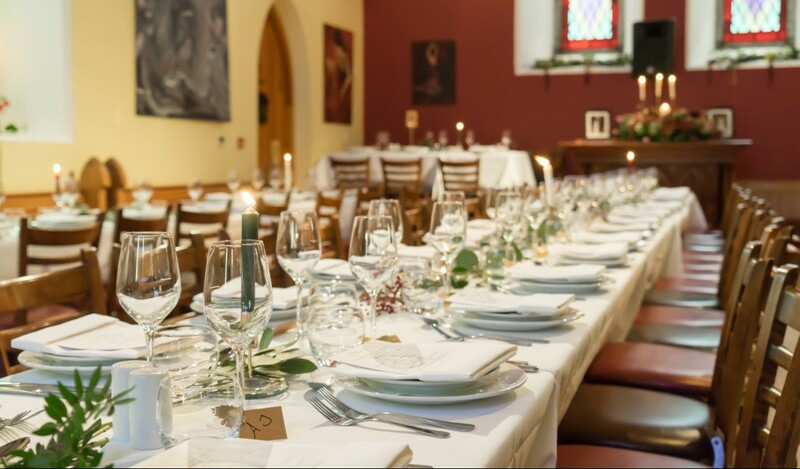 Our in-house Wedding Manager Cliodhna and Wedding Coordinator Katie are on-hand to talk you through wedding themes, menu options, decorations, coordinate with other wedding suppliers and to arrange a food and wine tasting before the big day. Email us now for more details of our packages and prices. Please get in contact with Cliodhna or Katie to arrange a suitable to time to view the venue and discuss ideas you have for your amazing wedding day. Weddings in Sol y Sombra is a alternative wedding venue in Kerry servicing weddings throughout the local area including Killorglin. Sol y Sombra is a unique venue that has been part of the wedding industry since 2008 specialising in unique ceremonies and receptions. My husband and I were having a different sort of wedding, we were getting married in Dublin on a Thursday and having a small dinner for immediate family. Then, on the Saturday we wanted to throw a party for all our extended family and friends. We met with Cliodhna and explained our idea to her and she got it straight away. Ever since our first meeting she was a dream to deal with. Personable, funny, warm and so competent, nothing we asked seemed like too much trouble. Cliodhna and her team in Sol Y Sombra helped us turn our vague idea of a party into a thundering reality, and we all had an absolute blast! Instead of a sit down meal we decided to serve finger-food style tapas to guests. I was little anxious that maybe people wouldn't get enough to eat, but Cliodhna knows her business! She helped us choose the tapaps selection, offering a few suggestions re: best pairings of food etc. The food streamed out of the kitchen from 8pm and everyone guest was amazed by the service and quality. Quite a few told me it was the best wedding food they'd ever had! And it kept coming, we couldn't believe it, people had more than enough to eat! 2 of my friends are coeliacs and they were treated royally. Staff quietly asked me to point them out, and once they knew who they were, they receieved special attention and ate as well as all our other guests. We also had 6 children ranging in age in attendance, one with a severe nut allergy. Again., no problem for the staff in Sol Y Sombra! The poarty in Killoglin was truly one of the best night's of my life, and most of that is down to the talent, professionalism, skill and warmth of Cliodhna and her amazing staff. I can't recommend Sol Y Sombra enough, for any type of party. 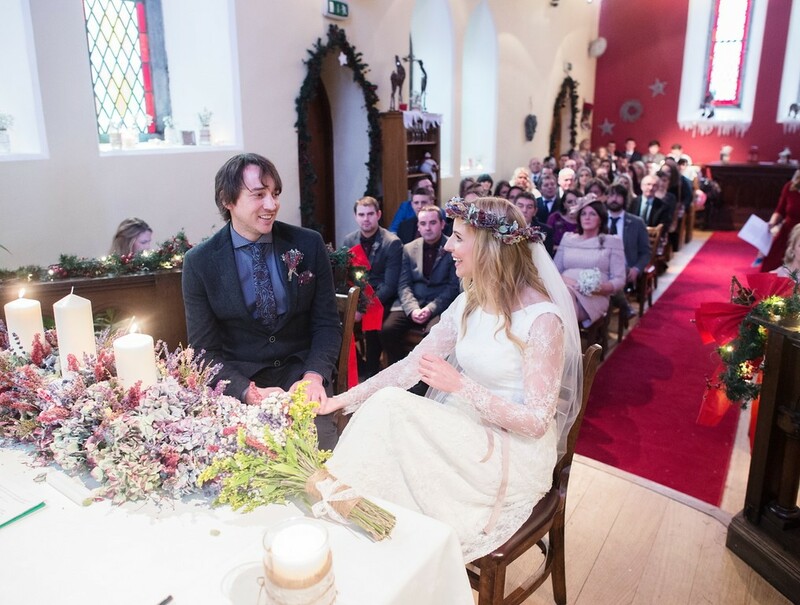 If you're having a Kerry Wedding, check them out! You and your guests won't be disappointed! We cannot recommend Sol y Sombra enough if you want a wedding with a difference. We were looking for a unique venue where the emphasis would be on good food and the party! Cliodhna and Katie were a dream to work with from the beginning. Any requests were accommodated without any hassle whatsoever. We were slightly nervous about serving tapas to our wedding guests, especially for those who had never been to a tapas restaurant before. But it was perfect, everyone was so well fed (the few vegetarians and coeliacs among our guests were raving about how well they were looked after). The selection of tapas to choose from is fantastic with a great emphasis on local and Irish food (the tasting was a lot of fun!). Cliodhna was a great help when it came to narrowing down our choice of dishes to what would work well together. They were incredibly accommodating around any decor requests we had as we tried to put our own personal stamp on things. They were very organised and had all our supplier details (band, cakes, flowers etc) so everything ran smoothly on the day. It's such a beautiful venue with a great atmosphere and the perfect place for a real party, the dancefloor was full all night! There are also some great accommodation options at different price points (B&B to luxury guesthouses) within a 1 minute walk making things nice and easy for all wedding guests. We can't fault the place, we simply cannot recommend Sol y Sombra enough. We had the best day of our lives here. We had our wedding ceremony and party in Sol Y Sombra in July of this year. It was without a doubt the best choice for us and exceeded our expectations. When we began the planning process with Cliodhna, we were overseas, as we were in the middle of a move back to Kerry. Cliodhna was so accommodating to us and we knew we were in good hands. Cliodhna's professional and friendly nature helped us feel at ease and she gave excellent, honest advice and direction. 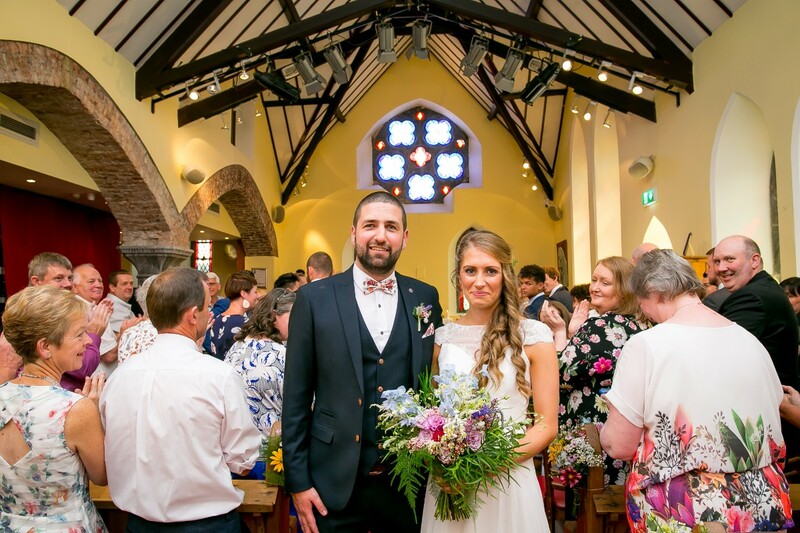 Cliodhna went above and beyond and even provided suggestions on other wedding services, such a band, celebrants, cake etc, as all this was very unknown to us, having just moved home. The packages on offer, are of excellent quality and caters for everything. Sol Y Sombra are very flexible with these packages as we did tweak and customize ours a little and caters to every budget. The venue is just perfect for a romantic and intimate ceremony and both my partner, I and our guests were in awe of how the venue was set up for the ceremony and afters. We had a total of 85 guests and they were all raving about the food quality and portion sizes. The staff were so friendly and professional, that it just added to the relaxed and stress free environment we wanted to create on the day. I really could not recommend Sol Y Sombra enough, I was so happy that I chose this as our venue and I did not have a single worry or concern during the whole process. Cliodhna was a pleasure to deal with and always contactable for a chat or advice, really going above and beyond for her brides and grooms. We had our wedding and reception at Sol y Sombra this May on a beautiful summers day and we couldn't have asked for more. The entire experience was a dream from day one. Cliodhna and her team went above and beyond to help us make our day special and we wouldn't change a thing. The food, the venue and the atmosphere were all exactly what we were looking for. All of the feedback from the guests was that it was a really unique day. You genuinely felt like Cliodhna really wanted you to have a fantastic time and she did everything she could, to make that happen. Cliodhna listened very patiently to all of our requests in the run up to the wedding and she helped us bring them to reality. We couldn't give a higher recommendation. Sol y Sombra hosted our wedding party in November 2017. From the first time we met Cliodhna a few months previous, she put us at ease, she is so professional and calm. She did an amazing job decorating the place and was totally accommodating to all of our needs. The food and the service was just perfect. The venue is such beautiful, all our guests were raving about it after. I recently had my wedding at Sol y Sombra, and the day was absolutely perfect. I had a romantic, intimate and rustic wedding in mind, and this venue was 100% conducive to my vision. We had about 65 guests, but the venue can cater for more if needed. 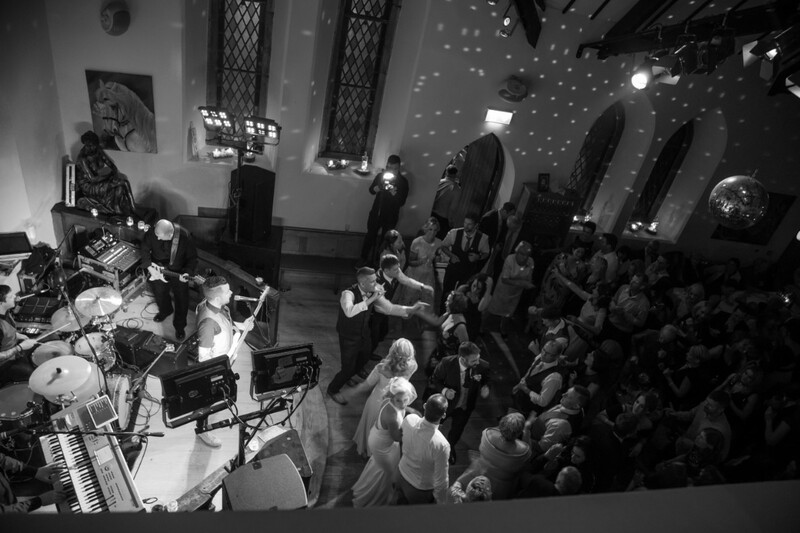 Everyone was blown away by the venue, it truly is one of a kind with its vaulted ceilings and stained glass windows. It is cosy and other-worldly. You feel like you are tucked away from the world. Clíodhna, the owner, is a dream to work with. She was so responsive to all of my queries, and I made a lot of queries :) She was so patient with me, answering all my questions and meeting any demands I had with a smile. I had loads of decorations to display and was a bit apprehensive that it wouldn't be done right. I needn't have worried, Clíodhna and the rest of the staff arranged everything perfectly and made it seem like it was no trouble at all (which I'm sure was not the case) The food and wine were beautiful on the day. Clíodhna had emailed me a varied list of choices. It was so hard to narrow it down. We went for a beef vs seabass choice in the end and it was delicious. Everyone was commenting on how generous Sol y Sombra were with the prosecco, wine and other drinks, not to mention the plentiful supply of food throughout the day and night eg.canapes on arrival and later some late night nibbles. 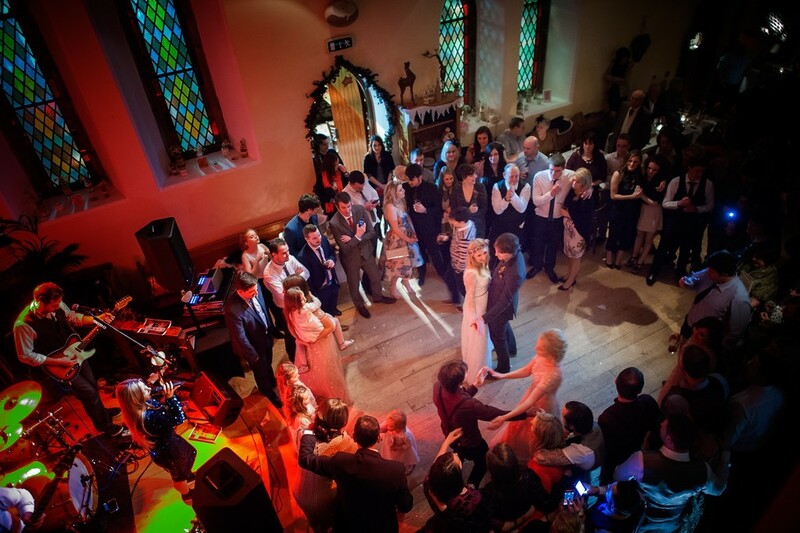 There are different packages to cater to different budgets and Clíodhna is very flexible and relaxed. The staff here are also very flexible and friendly. Nothing is too much to ask. We had our ceremony and our party here, going next door to Nick's bar for the drinks reception while the turnover was being done. Nick's is also a lovely spot. We actually had our speeches in there and it worked out brilliantly. I would recommend this venue wholeheartedly. I am pretty sure that a few of the guests from our wedding are now thinking about booking it for their own weddings. I only wish I could do it all again. The Venue is so beautiful and if you're looking for something a little funky and different, this is the place for you. Cliodhna from Sol Y Sombre was an amazing host she could not have been more helpful and accommodating. She was really flexible with the packages...adding extras/taking bits out...and the best part I found was that literally everything is included (they thought of everything). I was so nervous and she was just brilliant and totally put me at ease. The staff are all so friendly and I really could not have asked for more. We chose a tapas style menu which was different and worked really well. I would have no hesitation in recommending Sol Y Sombre to anyone who is looking for that extra special place. 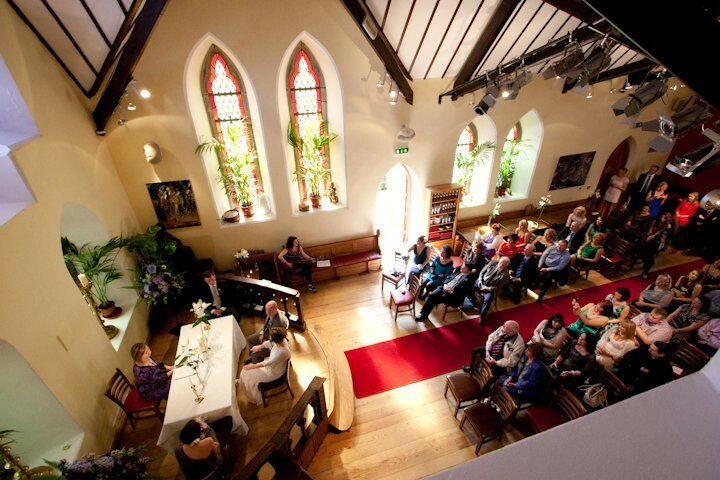 Amazing venue & the manager Cliodhna was excellent in organising all aspects of our wedding. We went with a Tapas style menu & the meal was superb & enjoyed by all. We had a party of 100. The setting was perfect and magical. Food and service were first class. Cliodhna dealt with every aspect of the arrangements in a professional manner and nothing was left to chance. We sat down with her on many occasions and she was always at the end of the phone to reassure us. Best day ever.